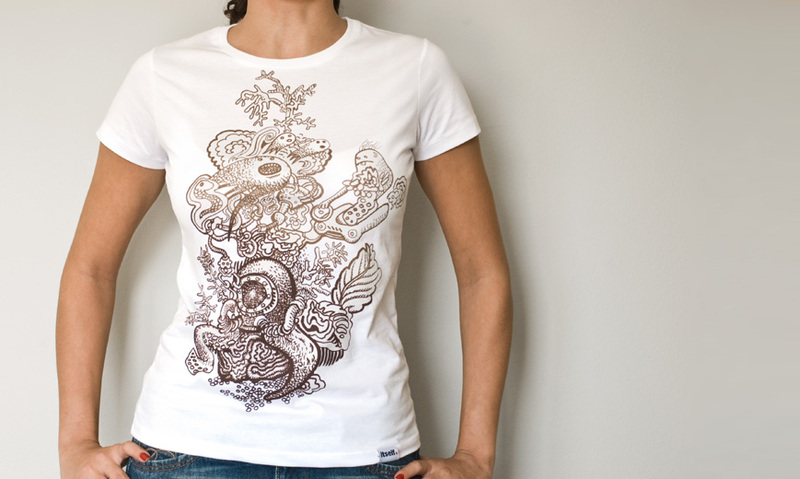 Strange Aquatic | T-shirt à manches courtes Femme Blanc | itself. A design by Eric Fan aka opifan64 of Canada. Printed on our very-own itself white basic t-shirt with water-based inks. Ultra soft, 4 color print.